This is what happens when you combine twin passions for winemaking and computer science. Growing up on his family’s vineyard in Napa Valley, Christian Palmaz knew exactly what he wanted to be: a winemaker. But after apprenticing, he learned he couldn’t quite read the wines the way a winemaker should. But that didn’t stop him from wanting to help make a great wine. He turned to his other passion instead: computer science. He spent six years developing a smart fermentation tank that would help the winemakers make better vino by alerting them to changes in temperature and when oxygen levels were too low for healthy yeast do to its thing, among other metrics. The tanks are so smart that when the team had to abandon the property in the 2017 wildfires, the tanks adjusted themselves and saved about £7.8 million worth of juice. Now CEO, Palmaz has innovated elsewhere, creating a programme to help all the grapes in a parcel ripen simultaneously (every winemaker’s dream) and installing a sorting system that weeds out damaged fruit using light imaging to detect tears or even wrinkles that indicate sunburn in a grape’s skin. While he doesn’t believe in innovation for innovation’s sake- the premium wines are still very much made by hand and intuition- his genius touch has helped make his family’s boutique operation- and their luscious wines- the envy of tech-savvy winemakers the world over. 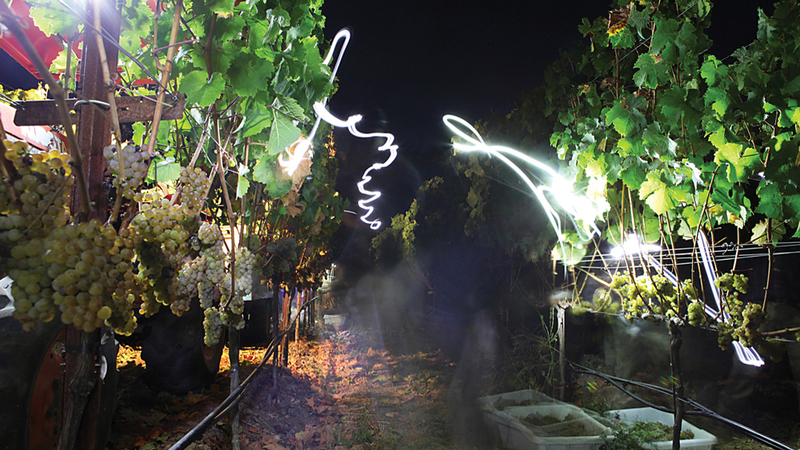 Using infrared mapping, Christian Palmaz can measure which vines are thirsty and how thirsty they are. Then the team can adjust irrigation to improve the overall health of each one. 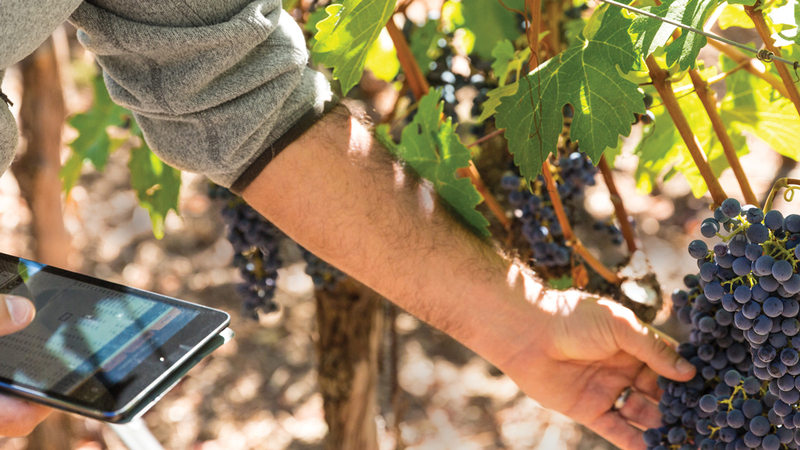 Palmaz’s computer program, nicknamed VIGOR (Vineyard Infrared Growth Optical Recognition), helps all the grapes in a parcel—Cabernet in this case—ripen at the same time, which makes picking easier and improves the quality of fruit that goes into each wine. 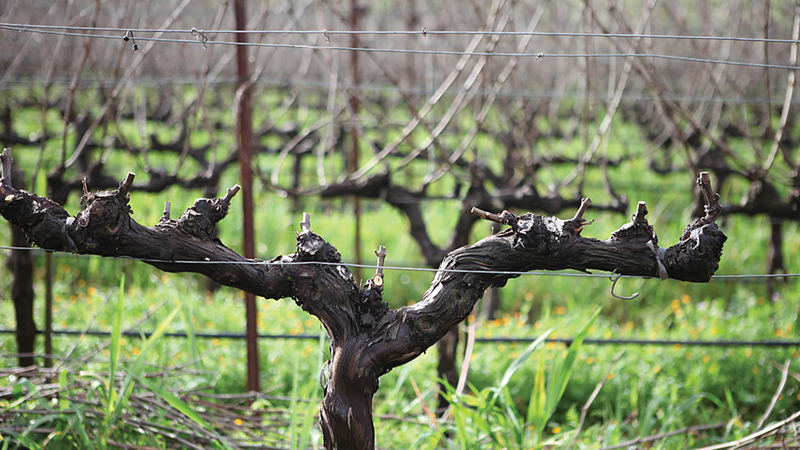 As tech driven as Palmaz is, the work of making and harvesting wine is still done by hand. Workers harvest at night to keep the berries cool and intact and then put them directly into a cave at the winery that mimics the outdoor temperature and humidity. 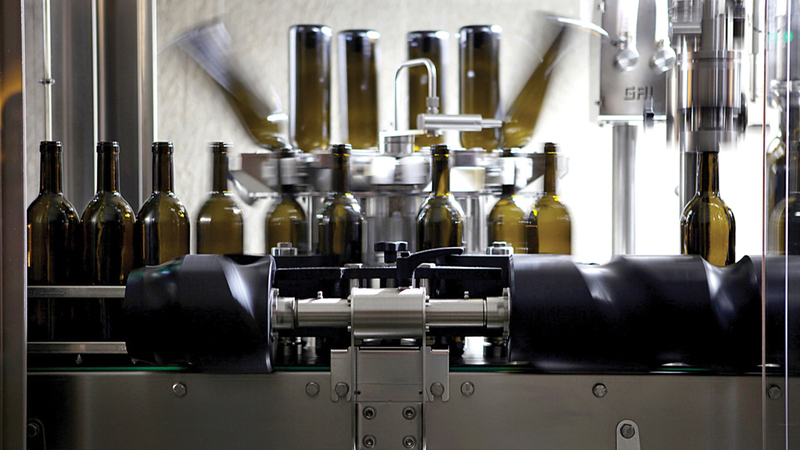 Meet FILCS (Fermentation Intelligent Logic Control System; pronounced Felix), Palmaz’s smart fermentation tanks, which can measure the density of the wine and the rate of fermentation using sound waves. 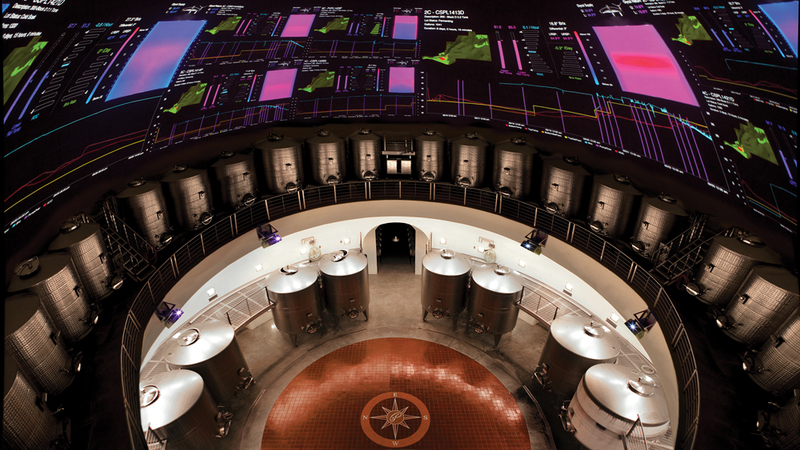 Data is projected onto the walls of the tank room for winemakers to read and evaluate the sugar levels of the juice. The process that takes place inside the 18-story winery, set entirely within a mountain, is moved along exclusively by gravity, so the wine is changed as little as possible as it’s transferred from tank to barrel, and finally to bottle.